Garlic is less pungent after it is roasted. The flavor mellows, it becomes deeper and less spicy. You can eat roasted garlic on its own, or smashed and spread on your favorite crusty bread. You can add roasted garlic to any number of dishes. For the best guacamole of your life, you really should try it in this recipe! Preheat the oven to 400 degrees. Slice the top off your head of garlic. 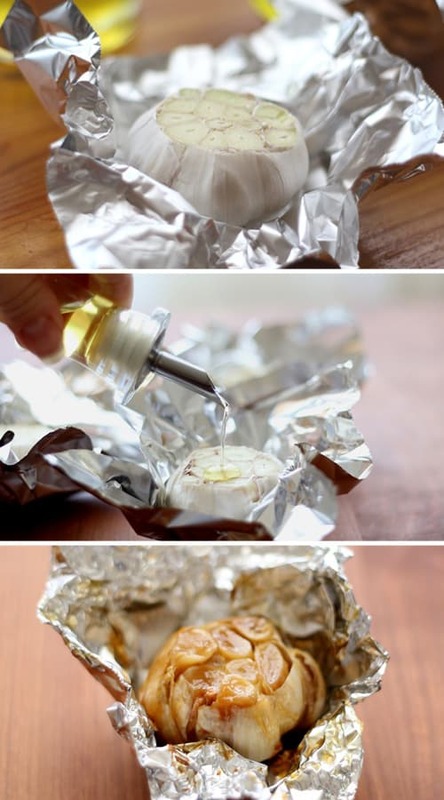 Place each head of garlic on a small piece of foil and drizzle a teaspoon of olive oil over the top. Wrap loosely in the foil. Place on a tray (to make removing it from the oven simple) or if your foil wrapped clove is large enough, just set it on the rack in the oven. Roast until the head of garlic is soft and golden brown. I usually leave mine in the oven from 45-60 minutes. It is often soft by the 30 minute mark, but I like mine a deep golden brown. (I’ve never overcooked it, even when I’ve forgotten and left it in the oven for 90 minutes.) I test mine simply by squeezing the foil wrapped roasting garlic with a pair of kitchen tongs. Carefully remove from the oven and let cool. Unwrap and use your fingers to squeeze the roasted garlic out of the clove. 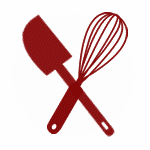 You can also use the tines of a fork to pull the cloves out separately. 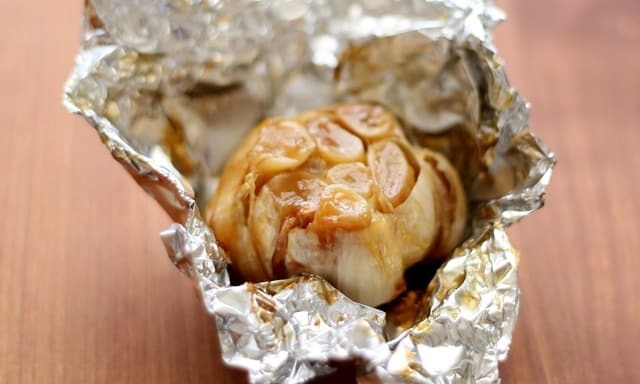 If you won’t be using it right away, roasted garlic can be stored in the refrigerator for several days. Store the garlic in an airtight container, unless you’d like everything else in the refrigerator to have a rich garlic aroma as well! Enjoy! I definitely need to do this. I've always wanted to roast garlic, but never had! You've made it seem easy enough that I definitely need to do it! I have never roasted garlic separately like this - always in a roasting tin with other vegetables. I love it mashed! I hadn't considered keeping it in the fridge for other recipes like guacamole. Thanks for the tips. One of my favorite things to do with roast garlic is to chop it and mix it into softened butter. After it is mixed well, I roll it in a tube of parchment and refrigerate until firm. When guests come, I like to create pats from the butter "log". It impresses every time. If u don't use right away, should you still remove the cloves or leave them in the shell? Yes, the cloves are easier to remove when warm. I just place the cloves in a jar and they keep fine for a few days in the fridge.